It’s been a crazy week! With Halloween fast approaching, I’ve been busy preparing both at home and at school. Don’t get me wrong, I love all of the festivities, but I will also love when it is over too and there is some time to relax…until Thanksgiving 🙂 I know this isn’t a Halloween or even fall kind of dessert, but it is amazing and I will eat a baked dessert with chocolate and oatmeal in it any time of the year. 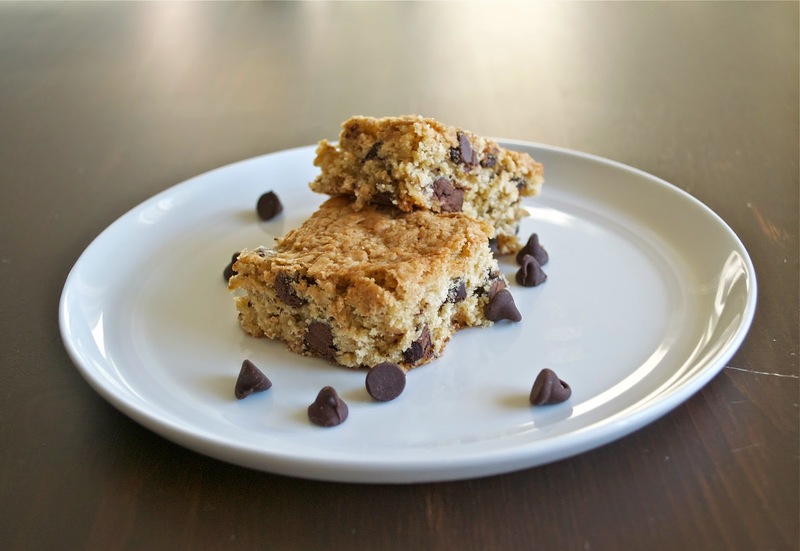 These Soft and Chewy Chocolate Chip Oatmeal Bars are easy and delicious. It is definitely a recipe I’ll be using again. 1. Preheat oven to 375 degrees and line an 8 x 8 in pan with parchment paper, or cooking spray. 2. Combine flour, salt and baking powder in a small bowl and set aside. 3. Beat the butter and sugar in a medium bowl until fluffy. Beat in the vanilla. Reduce speed to low and beat in the milk and egg. 4. 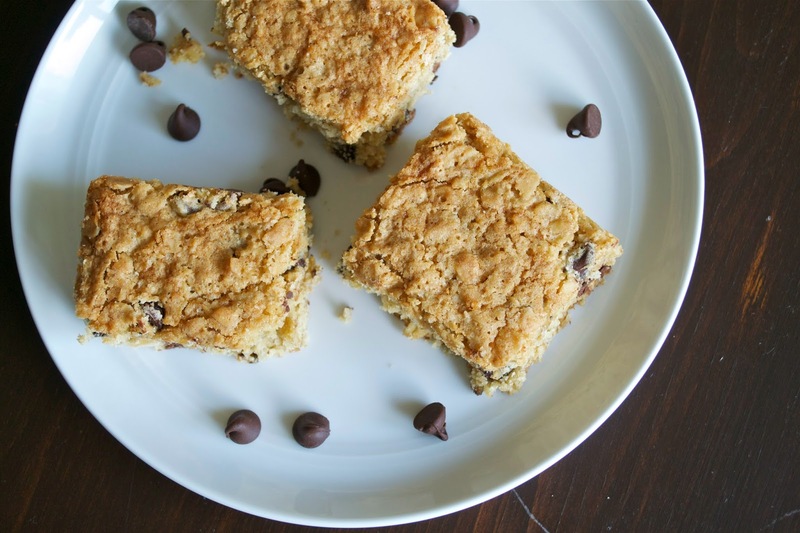 Stir in the flour mixture by hand, then add the oats and chocolate chips and stir. 5. Spread batter into the pan and bake for 28-30 minutes, or until a toothpick inserted in the middle comes out clean. 6. Cool on a wire rack. Lift out and cut into bars.